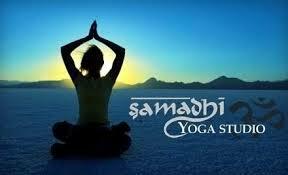 Mondays and Friday mornings 6 AM - 7.15 AM teaching a Moderate-level yoga class at Samadhi Yoga Studio, Manchester CT. Pricing through Samadhi Yoga Studio. Nikki offers workshops here throughout the year as well. Nikki works with Rick Haesche at the bodymind center for thai massage. They offer Level 1, Level 2 and advanced and specific trainings in thai massage throughout the year. Nikki is also available to travel and teach on-site for therapists throughout the country. Nikki serves on the Board for the CT AMTA (American Massage Therapy Association) as the Government Relations Chair. She also is a Delegate for the National Conference from 2017-2018 and 2018-2019. Nikki has accepted position with The VVMF (Vietnam Veterans Memorial Fund) and works as Cadre, traveling with The Wall That Heals around the country. Check out the full schedule at www.vvmf.org. Nikki volunteers with both the CT National Guard and Team Red White and Blue in CT, offering yoga and meditation for both active duty and Veterans. For more info, please contact her directly or follow her FB page!